Looking for a loan? We can assist you! Give us a call at 516-431-2009. Ready to get started? Apply Online Now. In a reverse mortgage loan (sometimes referred to as a a home equity conversion loan), homeowners of a certain age may use home equity for anything they need without having to sell their homes. Choosing between a monthly payment, a line of credit, or a lump sum, you can get a loan amount determined by your equity. The loan does not have to be paid back until the homeowner sells his home, moves away, or dies. You or representative of your estate must repay the reverse mortgage funds, interest accrued, and other finance fees after your house is sold, or you no longer live in it. Most reverse mortgages are available for homeowners who are at least sixty-two years of age and may be available to those with younger spouses or family members on title. They can be a key tool for retirement planning too. Reverse mortgages can be great for homeowners who are retired or no longer bringing home a paycheck but need to supplement their fixed income. Social Security and Medicare benefits are generally not be affected; and the money is not taxable. Reverse Mortgages can have adjustable or fixed interest rates. Your lending institution is not able to take the property away if you live past the loan term nor will you be forced to sell your home to pay off the loan even when the loan balance grows to exceed property value. 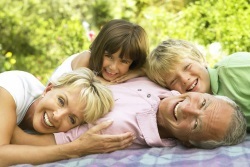 Contact us at 516-431-2009 to explore your reverse mortgage options.